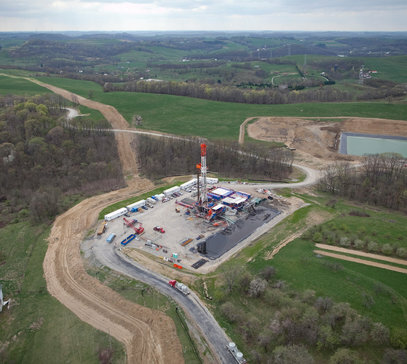 COLUMBUS, OH—Ohio Department of Natural Resources Director James Zehringer today announced a halt to operations at a Youngstown Township fluid injection well. The area surrounding the well has experienced a series of low-level seismic events over the past eight months. While conclusive evidence cannot link the seismic activity to the well, Zehringer has adopted an approach requiring prudence and caution regarding the site. The class two injection well is owned and permitted by Northstar Disposal Services, LLC of Youngstown. Following a series of low-level seismic events this year in the area surrounding the Youngstown Township injection well, ODNR invited Columbia University’s Lamont-Doherty Earth Observatory to position four seismometers in the area to capture more detailed information about seismic activity. So far this year ODNR’s seismic monitoring network has documented 10 seismic events occurring in 2011 within two miles of this injection well. Each of these events registered at 2.7 magnitude or lower. Generally, only earthquakes that register above 4 magnitude are known to cause surface damage. As a relative measure, a 4 magnitude event would release approximately 40 times the energy of a 2.7 magnitude event. There are 177 class 2 deep well injection sites operating in Ohio. The ODNR ensures a balance between wise use and protection of our natural resources for the benefit of all. Visit the ODNR Web site at ohiodnr.com. This entry was posted in News / Media and tagged 4.0, earthquake, injection well, ohio. Bookmark the permalink.